The genial Blanco brothers from Callejuela were in Madrid for a few days just when I was away in the countryside, but despite missing each other in the capital they were kind enough to leave me a little present at my preferred fuelling post of the time Territorio Era. La Choza, a vineyard at 74m on the famous inland pago Macharnudo (Jerez). One of the noticeable things about the 2015 wines was their exuberance – tasting the macharnudo wine against other unfortified wines from the same pago recently it was noticeable how much power the La Choza had – and these wines, having been longer in the bota, seemed to have even more punch. 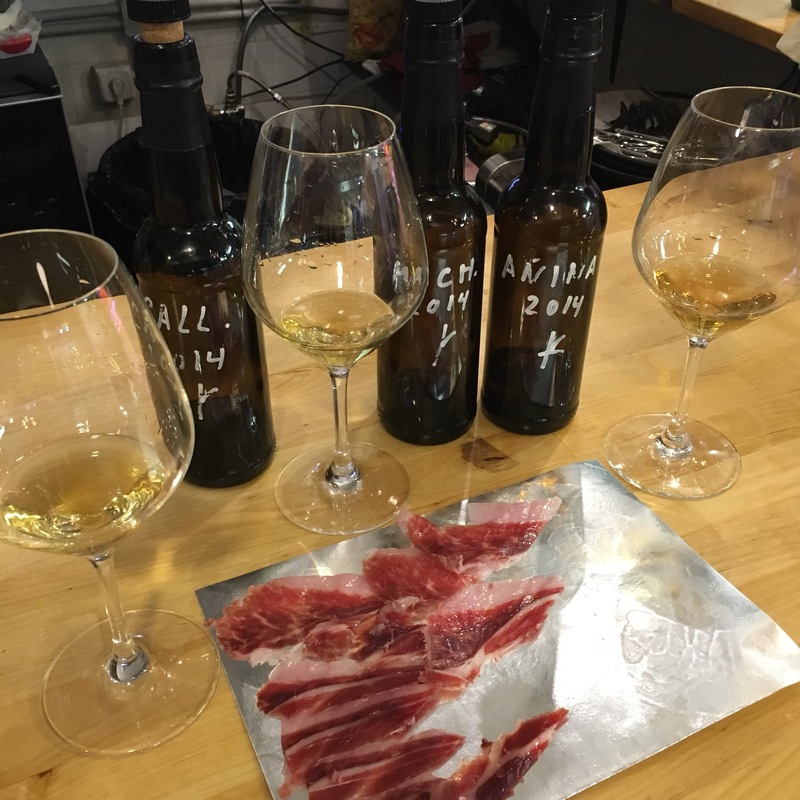 As a rule I would usually taste them in that same order – from sea to inland, low to high altitude, but in this 2014 edition the Añina is visibly more evolved so instead I go Callejuela, Macharnudo and then Añina, and it is quite a trip. The Callejuela has a nose that is all stables, mulchy, musty hay, a dark color and then is really potent, intense and buzzy. The Macharnudo – probably just about my favourite of the 2015s – is absolute class, with a typically aromatic nose with suggestions of sweetness and juice and then an elegant, compact solidity on the palate. Then the Añina does indeed have a more evolved, oxidated nose and colour. On the palate it is maybe just a notch less punchy than the two others, is smoother, softer (I actually have the word “fluffy” written in my notebook) and very likeable indeed. These will be released soon and they will be worth not just seeking out but fighting over if necessary. Top bombing fellas and thanks for leaving them for me to try!